One of the first printables I ever made was a set of shopping lists that I shared with the Deal Seeking Mom readers. I always make my shopping list by aisle (and now Plan to Eat does this for me automatically – woohoo! 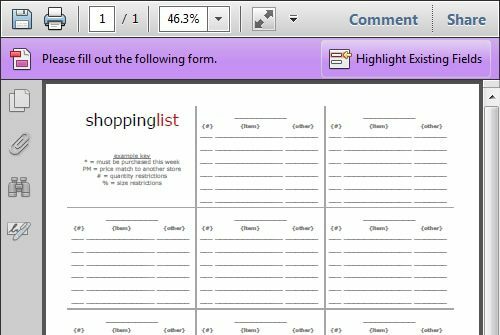 ), and this printable provides the perfect framework for doing that, plus I’ve left space for notes about coupons, sales, etc. Over time, as I developed the Life Your Way printable style, the shopping list pages began to stick out like a sore thumb, so this weekend I updated them to match the rest of the printables! Question of the Day: What Is Your Food Style?